Our experience with Fluid Adventures was amazing! And Coiba was an experience we’ll never forget! 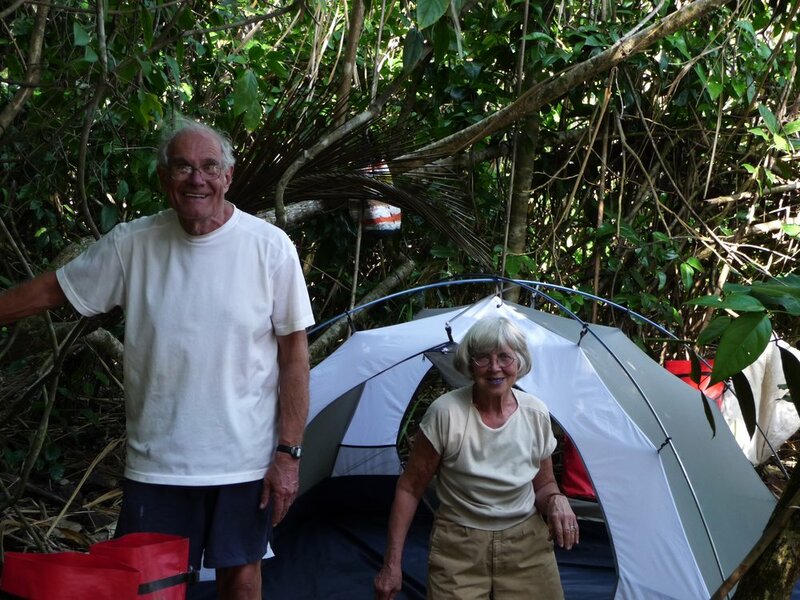 You can’t beat the experience of camping on a private beach on an island that has been virtually undisturbed for centuries! There was so much wildlife around us all the time we couldn’t believe how much we had infiltrated their world. Seeing howler monkeys in the wild were definite highlights of the trip! The kayaking excursions were amazing; taking us to new beaches and islands in the area everyday. The ocean in this area is just oozing with life; sea turtles, manta rays, colorful fish, sharks and dolphins. We even saw fish jumping right next to our kayaks. The snorkeling was unbelievable! I have never swam right next to a giant sea turtle before! We felt safe and encouraged, and their knowledge of the land, animals, and local history added great value to this trip! We certainly wouldn’t have experienced Panama the same way if we had stayed on the beaten tourist path. Fluid Adventures offered a different down to earth experience and was so worth it! This was my kind of trip..we were excited to see Coiba and Fluid made this our favorite destination in Panama! My wife Anne and I love to travel and experience the people, scenery, and vibe of a country. We shy away from the really touristy places; instead we search for places that are still very connected to the land, the people, and the environment. We chose to visit Santa Catalina, Panama. Santa Catalina was one of our most favorite little towns and was amplified with help of Fluid Adventures. They were more than helpful in providing us with surf lessons, board rentals, and even organized a day of snorkeling for us at Coiba Island. Furthermore, they employ the local people when possible, to ensure that their families are provided for as well. I highly recommend hooking up with “Kayak Mike” while visiting Santa Catalina, it will make your trip that much more enjoyable, I promise. They made it feel like home. Thank you for providing a safe adventure. I appreciated your knowledge and expertise. 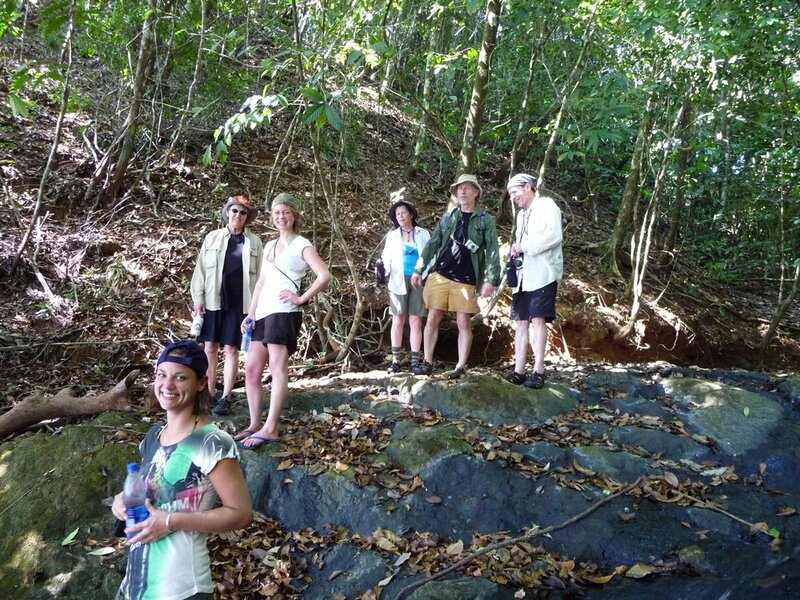 Our Panamanian expedition with Fluid Adventures was a unique and educational experience we shall never forget. From our stay in the wonderfully friendly village of Santa Catalina to the awesome beauty and serenity of Isla Coiba National Park we were constantly reminded of the uniqueness of this yet to be discovered gem. Coiba is an island of wonder and beauty and the endless abundance of marine life while kayaking or snorkeling is unrivalled. The sea turtles, rays and swimming with the sharks were truly an unforgettable experience. If you would enjoy falling asleep to the sounds of the jungle and walking straight out of your tent into the blue-green ocean for a morning dip, this is an adventure trip well worth exploring. Michael and his staff are very experienced guides, preparing great outdoor meals, and providing knowledgeable information about everything we encountered. The pace of each day’s activities was casual and although we did cover lots of territory we never felt rushed and for the most part Michael and Javier seemed to be part of the group rather than over protective guides. This is the second time Mike has provided guiding service for us and we are very comfortable with his professional but friendly and calm leadership style. Everyone is concerned that development will eventually spread to this relatively undisturbed part of the world and we hope return next year to continue our adventure before that happens. Thanks Michael, we do not often return to the same place for holidays, but this is an exception. Definitely the highlight of my trip to Panama!! It is my good fortune to have engaged Michael for his unique skills in adventure and eco-tourism. His advocacy of the natural environment engages us with our role and place in the natural world, its glories, intrigues and adventures. As well as, Michael exposes the subtleties of our responsibility for ourselves and for the Earth. His personable style elevates the trips to distinct pleasure in his handling of vying personalities into a cohesive group engagement. His leadership and handling of group interface and dynamics makes for useful business retreats. Time spent with Michael’s tours is made into rewarding time you feel is well spent, more retreat and re-creative than amusement. What we really appreciated about Fluid Adventures was their responsiveness and enthusiasm. They took the time to talk to us about Santa Catalina and the activities available to us in the time we had. Also, they are fully equipped and take safety and preparation seriously. 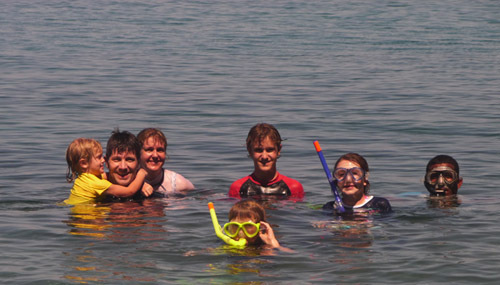 The kayaking and snorkeling trip at Isla Coiba was a great mix of exercise, play and relaxation. It was pretty clear that Fluid Adventures has put a lot of thought to their trips, to try and make them as engaging and unique. We paddled from the park office to a secluded beach where we lunched and lazed without anyone else in sight – just the sounds of tropical breezes and lapping waves framed by a backdrop of crystal blue water, palm and mangrove fringed white sand beachs and the rugged coast of Panama in the distance. Snorkeling lay a few meters off the beach, in still waters where coral and fish and were abundant, and sharks and turtles appeared to delight. If you want to experience Coiba for its natural wonder in a natural way, I can’t think of a better way to do it then by taking a trip with Fluid Adventures.